Portablewaterfilters.org has developed this privacy statement to clearly outline how your personal information is used. 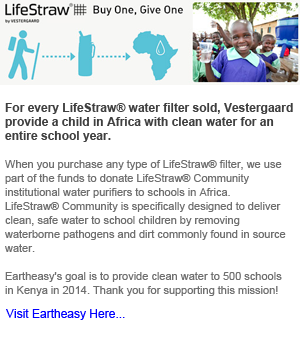 The following discloses our information-gathering and dissemination practices for the Portablewaterfilters.org website and the websites listed above. 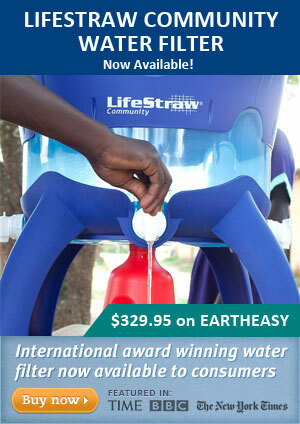 Portablewaterfilters.org, the sole owner of the information collected on this site. We will not sell, share, or rent this information to others in ways different from what is disclosed in this statement. This website may use third-party advertising companies (primarily Google Adsense) to serve ads when you visit our website. These companies may use information stored in a cookie (not including your name, address, email address, or telephone number) about your visits to this and other websites in order to provide advertisements about goods and services of interest to you. If you would like more information about this practice and to know your choices about not having this information used by these companies, click here for information on Google’s Doubleclick cookie. This site contains links to other sites. Portablewaterfilters.org is not responsible for the privacy practices or the content of linked websites. Portablewaterfilters.org website is not responsible for the information collected by third parties in relation to these agreements. If you have any questions about this privacy statement, the practices of this site, or your dealings with this website, you can contact us using the Contact Us link at the top of this page.